Chelsea host Tottenham Hotspur in a crucial match in the race for a top-four spot. 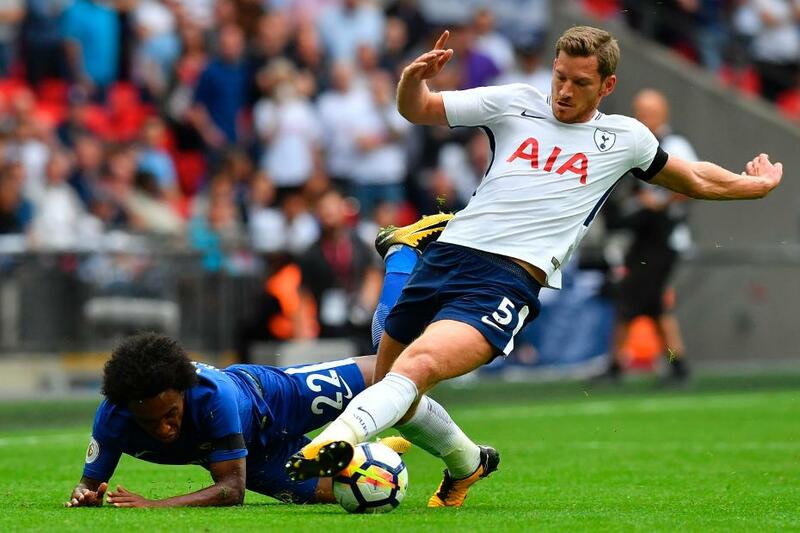 The Spurs defence, marshalled by Jan Vertonghen, has been integral to their current 12-match unbeaten run. Mauricio Pochettino's side have conceded five goals this calendar year, fewer than any other Premier League side, including just one goal in the last six hours on the pitch. Reducing the influence of Eden Hazard will be key to continuing that run. It is something they did successfully last season, restricting him to just a single shot on target, and far fewer touches in the penalty area. Hazard's inability to dribble past as many defenders also coincided with fewer chances created. Vertonghen, who spent the past week training with Hazard for the Belgium national side, will have played a prominent role in this. The central defender is one of the hardest players to dribble past at Spurs, and indeed in the Premier League. He has been beaten on only 10 occasions this season, fewer than any of the competition's top 69 tacklers. He also has the highest success rate of any player to have made 50 or more tackles this season, making him the ideal opponent to nullify Hazard's main strength. Antonio Conte may attempt to limit the pair's exchanges and start Hazard from the left, taking on defenders more susceptible to his dribbling. In that case, Vertonghen's role would become more about reading Hazard's final ball and intercepting or clearing the danger. They are two categories in which he also leads the way for Spurs this season, and did so in each fixture against Chelsea and Hazard in last.